Step out into a group of people and look around. It’s clear we are looking at our smartphones more than we are looking at each other. Are we teaching our kids to manage technology? Or is the technology they use dictating their daily life? The ability to truly manage screen time isn’t an issue only our teens are having. It’s easy to say our kids are addicted to their smartphones. But are they simply modeling the behavior of the adults in their life? And, are people truly addicted to their smartphones? Or are we simply not managing the apps we use well? The ability to manage our time wisely isn’t a new problem. Before the digital age there were plenty of ways to avoid unpleasant tasks or people. We’ve long-used the term “veg out and watch TV.” You can even ignore the real world by reading books. These activities aren’t wrong, but when they hinder our ability to work and function, they become a problem. What makes apps different is the makers are using techniques to deliberately draw us in and keep us engaged in the app. This means instead of just using the app when we have nothing better to do, we’re enticed to interact with the app regularly. So, how do you learn to manage the apps you use so they don’t manage you? By understanding the techniques and tricks developers use to keep you glued to your smartphone. The autoplay feature keeps video content served up in a never-ending supply. Your video ends and you don’t even have to lift a finger to begin the next one. No decision needed. The next video is presented and played for you. Netflix, YouTube, Amazon, and Hulu all employ autoplay to keep users engaged on their service. Binging on a series is almost a bragging right. Autoplay isn’t a feature used on streaming services only. Both Snapchat and Instagram use the autoplay feature on their stories. Watch the story for one friend, and stories from everyone on your list autoplay with no effort on your part. Meaning a quick check-in on a friend’s story can easily turn into a 30-minute block of your day as you watch story after story. Be the Master: Autoplay is typically on by default. Be the master of your time by turning the feature off. Autoplay can usually be turned off by going into the settings for the app. Here’s how you can turn it off in Hulu. Notifications are those little pokes from the apps we use. Developers let us know everything when it comes to our account on their app: when we receive a friend request, when someone “likes” our post, when we should watch a video from a friend. These notifications literally disrupt the flow of our day and at times dominate our schedule. This sort of behavior would be viewed as invasive if there was a human face behind it. Imagine your boss or mother popping in your office every 20 minutes to let you know “your Instagram photo received a new like” or “it’s time to enter your breakfast into your fitness app.” However, these disruptions in our day from a faceless app developer are viewed as helpful. Virtually every app uses them. TikTok is constantly telling kids to check out the daily video with a quick-witted message. Twitter, Facebook, and Instagram all send notifications unless you opt out of them. Notifications are so powerful they’ve been called the Pavlovian bell of the 21st century. Constant notifications urging us to check our apps enforce a habit. And these habits not only interrupt our day, they often cause us stress. Be the Master: Turn off notifications for the apps you use. Instead, select the time each day you want to check notifications for your apps. And, allot an amount of time for checking and responding to any requests. If you need to leave notifications on for certain apps, leave them on only for people, not businesses. And narrow it down to only friends, if possible. Colors are carefully selected by developers for their apps. There is a reason app icons are so attractive and colorful. They act like digital candy, giving our brains a shiny reward every time we unlock the screen. Be the Master: Imagine walking to the kitchen to check on a beautiful plate of cookies every 15 minutes. How many times would you go to the kitchen and not eat a cookie? Not only would you not be managing your time well, but your will power would be tested to the max. The same can be said for our colorful shiny screens. Set your phone to grayscale to remove that positive reinforcement your brain receives every time you open your device. This is a simple way to manage technology! Doing so helps many people check their phone less. Give it a try and see if it works for you. FOMO is characterized by the desire to stay continually connected with what others are doing. App developers have used this to encourage users to engage more with their platforms. We see this in fitness apps like LifeSum, where users select a goal. The app then tracks progress and sends notifications throughout the day on progress, and encouragement to stay on target. You don’t want to miss your goal. Or miss out on the reward of meeting the goal. Be the Master: Carefully select apps you use to help you reach your goals. Focus on one or two goals at a time. And, decide when and how it’s best to enter your goals so the notifications serve as encouraging reminders and don’t interrupt the flow of your day. This method isn’t new to technology. In fact, it’s been employed by casinos for years. The concept refers to the randomness at which a reward is given. It’s exactly how slot machines work. A player pulls the lever. They immediately see a small reward, a big reward, or no reward at all. But, the wheel spins showing them the results are coming. Twitter using this exact methodology. Go to your feed. Pull down on the to see a result: a few new tweets, a large number of new tweets, or no new tweets from your friends. Be the Master: Turn off notifications for the apps you use. You can do this in your phone’s settings and in the apps’ settings themselves. Then, select a time each day to check your feeds. Many games offer a free version. Then they use an in-app purchase that allows you to level up or unlock additional features. The more you play, the more the companies learn about your preferences. Many games connect to Facebook. So, they access your friends list and gather additional data about you. Be the Master: Be selective about the games you play. It’s better to purchase a game from a developer who has a reputation of protecting their customer data. You do me a favor and I’ll do one for you. Our human nature is to reciprocate. We say “You’re welcome” to a “Thank you.” We acknowledge an email. And, we follow back on social media when followed. Developers know this. And they’ve skillfully tapped into our instincts by sending us notifications letting us know someone has sent us a friend request or liked something we’ve shared. We immediately feel a social obligation to reciprocate. It’s why teens launch into SnapStreaks. And, why adults feel the need to connect with suggested new connections on LinkedIn. Be the Master: Gut check why you follow someone or like a post. Is it out of obligation? If so, that like is just cluttering your social media feed. People and things we follow should offer real value and enrich our lives. Some apps give you just a bite, then make you hungry for more. Chat fiction apps like Hooked and Hoot do this. So do many news organizations. They give readers a small taste of a story, then set a restriction or payment for immediate access to the full story. Be the Master: If you want to read the content, pay for it. The drip method for obtaining the content you want will eat up valuable time. You’ll be reading in 5-minute spots here and there throughout your day. Gamification isn’t new. In fact, applying game-based activities to real world applications has been used throughout the course of history. However, we’ve had a rapid increase in the adoption of smartphone use and time spent on social media. Society spends more and more time online. So much so that the boundary between our online and real life increasingly blurs. This means gamification for virtually any type of app works, and works well. We see gamification in map apps like Waze. We see gamification in apps that help keep us healthy and fit. And, we see some of the most popular dating apps like Tinder and Bumble all using gamification. Some of the most challenging moments in life are a game. Be the Master: Gut check the usefulness of apps that are highly gamified. Are there other options which accomplish the same job? If so select these apps instead. Use an app timer to keep track of how much time you are spending on apps that are highly gamified. Technology should help us be more productive. There is nothing wrong with an app that is gamified. Master and manage technology well by making wise choices about which apps increase your productivity and which are daily/weekly time wasters. Music and streaming apps know users need to find the app valuable, otherwise they won’t continue using the service. Or, developers strive to move users to the paid subscription. So, they carefully curate content based on what you watch/listen to and create additional lists for you. This can be a new “Good Morning” playlist, or a list of sitcoms based off other shows you’ve recently viewed. Be the Master: Stick with one streaming service for music and one for television/movies. It will keep your costs down and keep your recommendations more refined as the service gets more in tune with your preferences over time. We’re still learning much about the pitfalls and benefits of technology. Understanding these tricks and discussing them in our homes is the first step in helping our kids as they learn to manage technology. We are the primary role models for our kids. When we discuss and model how to manage technology wisely we not only help ourselves, we build a generation of strong digital citizens. 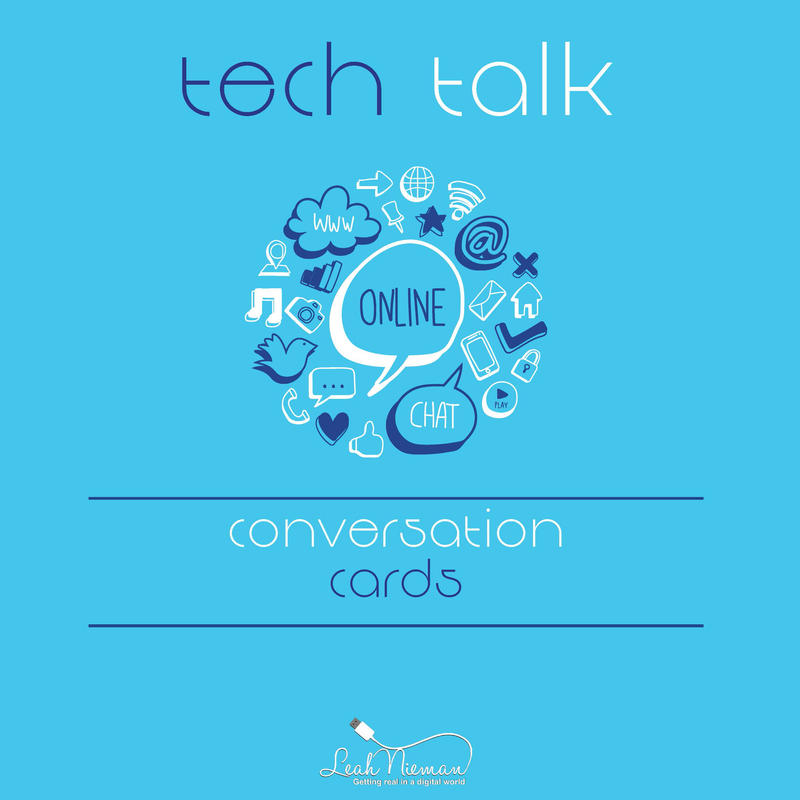 Do you have advice or a tip on how your family is managing technology? Share it with us!